Vashti’s Jewelers has a SWEET DEAL for you! 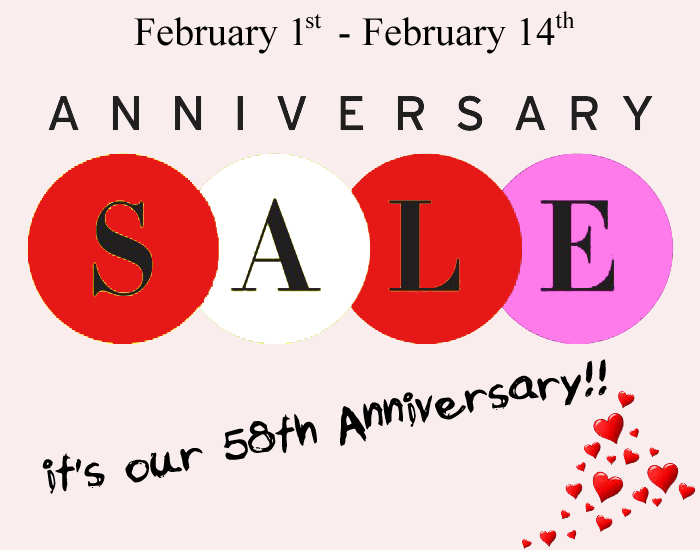 February is the month of their 58th Anniversary and to celebrate, they’re having their biggest anniversary sale yet!! Stop in starting February 1 through Valentine’s Day and select a piece of candy for a chance to save up to 58%!! (Certain restrictions apply). Register to win a diamond necklace while you’re there! They have new inventory and a great selection for every budget, style and taste. Make this the best Valentine’s Day yet! Vashti’s Jewelers is located at 6734 Edgehill Town Center in Gloucester and their store hours are: Monday – Friday 10:00AM to 6:00PM, Saturday 10:00AM to 4:00PM, closed on Sundays and have in store financing available.